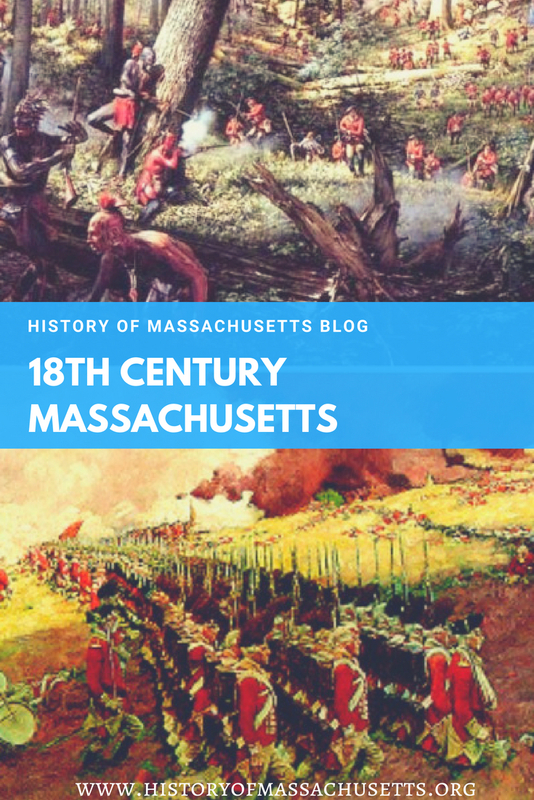 The 18th century was a tumultuous century in Massachusetts history. After the area was colonized in the 17th century, the colonies continued to grow and come into their own but they also began to encounter various problems such as war, economic instability and political struggles. The Massachusetts colonies spent much of the 17th century as independent, privately-run colonies but entered the 18th century as one large royal colony under the close watch of the British government. The government briefly stopped interfering in the colonies’ administrative affairs during the early to mid part of the century but then began cracking down on them again in the late 18th century. This stirred up old feelings of resentment between the colonists and the government once again and this resentment eventually boiled over into America’s most significant historical event. Fortunately, the struggles and the adversity that the colonists experienced in the 18th century were a blessing in disguise because it gave them a new sense of identity, strength and independence that later convinced them to fight for their freedom in the late 18th century. The French and Indian War, which was fought in the middle of the 18th century, was considered the precursor to the American Revolution. The war was a struggle between many powerful European countries for control over North American colonization and trade. Although the war didn’t take place in Massachusetts, many men from Massachusetts fought in the war and the events and outcome of the war later paved the way for the American Revolution, which began in Massachusetts. This military experience also helped turn the colonists into fierce soldiers which would later serve them well during the Revolutionary War. 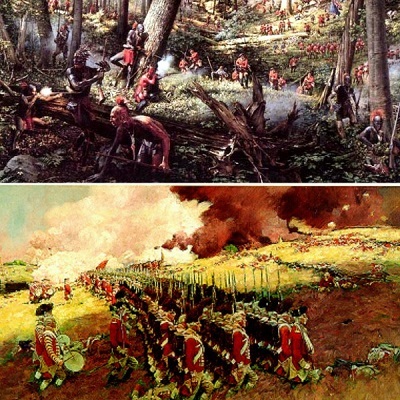 The French and Indian War also sparked what is often referred to as the original first world war when it eventually spread to Europe where it became known as the Seven Years’ War. Salutary neglect was a British policy in the early to mid 18th century during which officials allowed the colonies in America more freedom from trade regulations in the hopes that they would flourish economically so that England would reap the rewards of their success. The idea was to allow the colonies’ industries to grow without meddling from the British government in the hope that the government could increase tax revenue in Britain by taxing colonial products entering England. In addition, they hoped to boost England’s manufacturing industry by exporting more goods to the colonies. Officials did this by discouraging enforcement of trade laws and regulations in the colonies. The policy was successful but eventually came to an end when the French and Indian war ended in 1763 and the British government instituted new taxes on imported British goods sold in the colonies in an effort to pay off the debt incurred from the war. Many historians argue that it was during the period of salutary neglect that colonists learned how to self-govern and began to develop a strong sense of independence that later strengthened their resolve to be free from British rule. The American Revolution began after new taxes placed on imported British goods sold in the colonies did not go over well with the colonists. This led to protests from the colonists who objected to the taxes on the grounds that, as colonists, they couldn’t vote for the Parliament officials that were in charge of these taxes, hence their “no taxation without representation” motto. The colonists had been left to govern themselves for so long that when the government began meddling in colonial affairs, the colonists resented it and pushed back in protest. The British government responded to the protests by increasing the military presence in the colonies, which further enraged the colonists. The constant turmoil eventually sparked a series of battles in Massachusetts that kick started the Revolutionary War. The war later spread to New York, Pennsylvania and Virginia. LeVert, Suzanne and Tamra B. Orr. Massachusetts. Marshall Cavendish Benchmark. 2009.